Canyon recently hosted an experience weekend at Mercedes Benz World, in which they showcased their 2018 range of bikes. 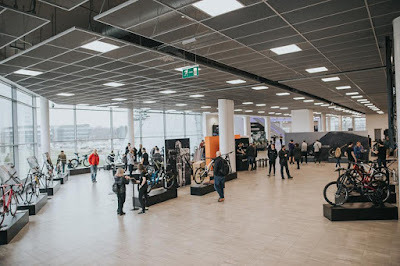 I wasn't able to make it to the event, but I hear it was well attended, and it was great to know that they had a good selection of women-specific WMN bikes as well as women racers from their professional teams. On the mountain bike side was the 2016 European marathon mountain bike champion, Sally Bigham, whom I recently interviewed for Total Women's Cycling about keeping fit while pregnant, while Tiffany Cromwell was there representing the road riding side of things. 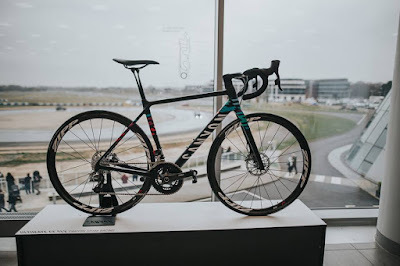 The bikes the women ride were on show, and Tiffany took us through the Canyon Ultimate WMN CF SLX bike that she races with in her Canyon Sram racing team - which leads me on to the women-specific road bikes that they produce. People still ask the question - is a women-specific bike necessary? Steven Shand, who I spoke to from Shand bikes, an independent manufacturer based in Scotland, said that it's not so much women-specific bikes that are needed but more person specific bikes. After all, everyone comes in all shapes and sizes! And Canyon have recognised that too. Unfortunately, mass producers of bikes can't individualise bike geometry to each and every customer. Shand, and other independent manufacturers can, if you are able to pay through the nose for it. 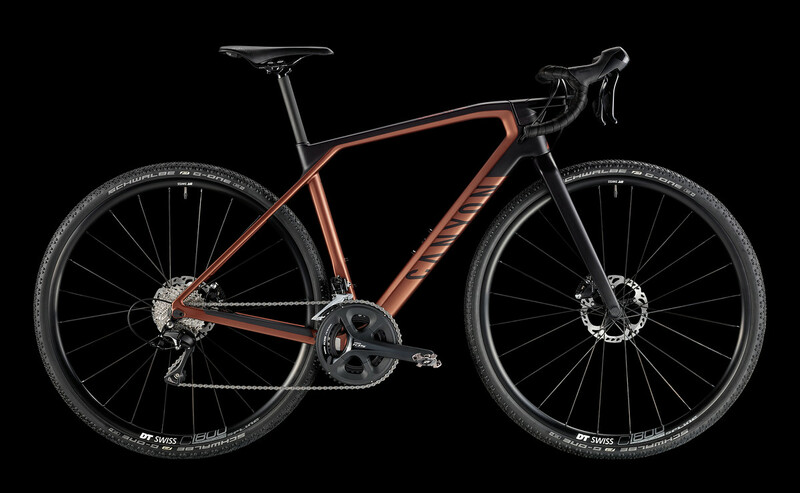 So Canyon have done what seems to be the next best thing - by producing a wide range of sizes for women-specific bikes. In designing geometry they took into account measurements obtained from 60,000 data entries from women's bike fittings when understanding women's body shapes, and therefore the best estimate of the average woman's body geometry. 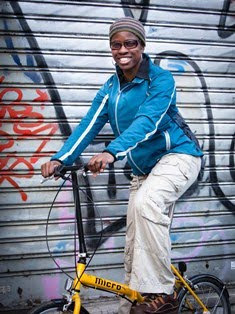 From that they have designed bikes that hopefully can fit comfortably for women of different sizes. Women are typically shorter and lighter than men. Women have shorter arms in relation to their torso than men do (on average 2cm shorter); we have narrower shoulders in relation to our torso, and there is more flexibility in the pelvis. Interestingly Canyon found from their studies that that women's leg length compared with the the rest of the body is not much longer than men's legs in relation to their bodies. It had generally been said that women had longer legs and shorter bodies compared with men. In any case, for the same level of comfort between the genders, this is achieved by the same angle between the arm and the torso. Women therefore need a frame geometry that includes a a shorter reach than the equivalent men's bike to achieve this same level of comfort, because of our shorter arms. Bikes tend to me built using the average size as the reference and then working up the other sizes from there. 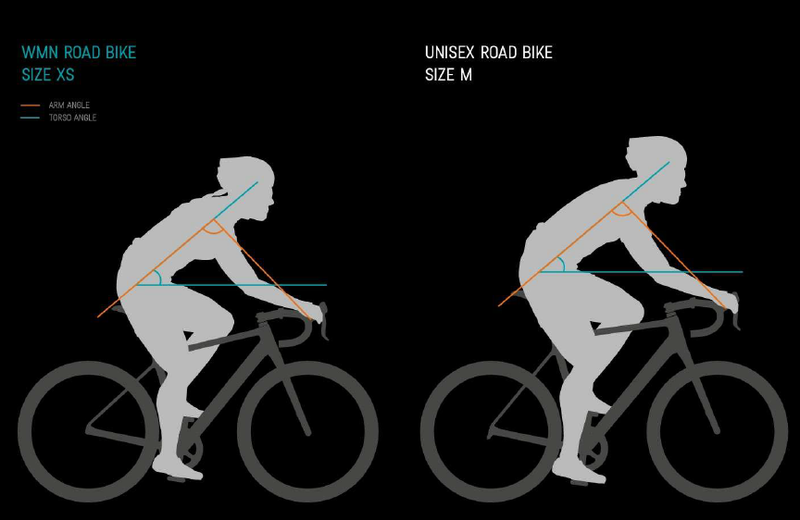 However, a size M unisex would be too big for a woman, and in fact the average sized bike for a woman is XS. So that is the reference size and then other sizes are built from there. For shorter women there are also the 2XS and 3XS sizes, as well as S and M for taller women. So the good news for women choosing a Canyon bike though, is that there is a wide range to choose from, depending on your size, the type of bike riding you're doing, your level, and your budget. The Ultimate is for top end road racing. The likes of Tiffany Cromwell and Hannah Barnes will have bikes in this range. With a lower stack on the headset you get a Sport Pro geometry to put you in an optimum road racing position. For those into cyclosportives and long rides there is the Endurace selection which has a Sport Geometry. The stack is slightly higher than in the Ultimate range to allow you to be slightly more upright, and give comfort for long distance rides. For off-road rides there is an adventure bike which also has a Sport Geometry, the Grail. Don't ask me if it's holy, I haven't tried it yet! 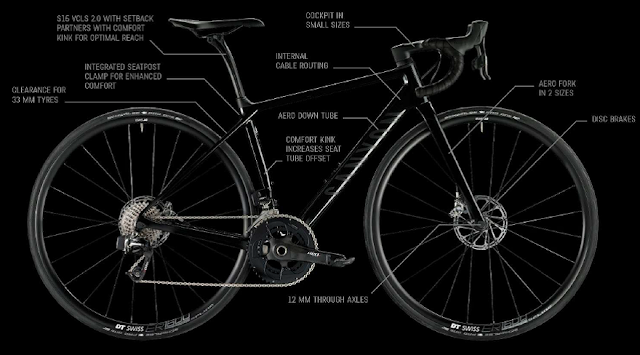 If you get the 2XS and 3XS sizes they can be fitted with smaller sized wheels - 650 wheels, instead of the standard 700 - to give the bike better bike handling, and to avoid that awkward overlap of your foot onto the front wheel when turning. With smaller wheels also comes the need for bigger gears than what you get with a compact, to avoid you need to spinning so much more than with bigger wheels. 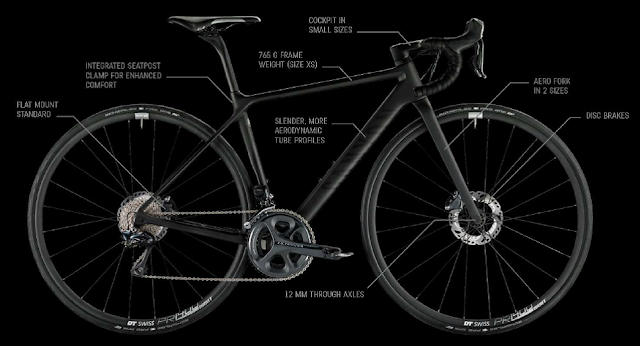 So the bikes with 650 wheels will have a semi-compact rather than compact chain set. So in fact, there's quite a range to choose from among the Canyon range. Gone are the days when there'd be just one women-specific bike. We actually have a few to choose from within a range, which can only be a good thing at a time when more women are getting into cycling. I haven't ridden a Canyon bike yet. Hopefully I will get to try one in due course. The people I know who have ridden them have been happy with their ride - whether it was on the road or in cyclo cross, so I guess that's a good sign already. Full details of the women-specific bikes in the range are on the Canyon website. Paris Vélib - the love affair is over! So how is my Paris Marathon training going?